Vladdin's various flavors of prefilled pod and kush pod are fully compatible with Vladdin's battery base kit. 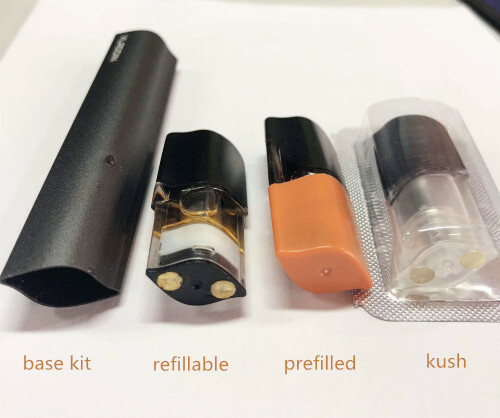 And the shape and capacity of prefilled pods are exactly the same as that of the refillable pod. The installation part of the pod also coincides with the insertion part of the battery rod. The only difference is that each flavor of the cartridge can not be refilled. 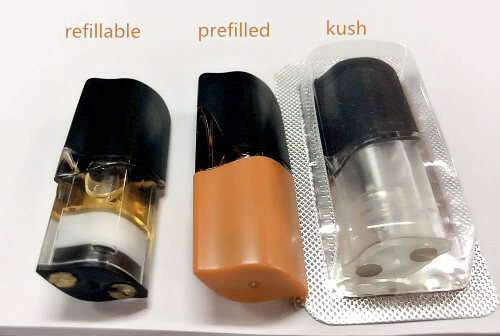 There are two types of refillable cartridge, one is refillable pod and the other is kush pod for CBD oil. These two types can be used for repeated filling. For the best experience we recommend replacing the refillabe pods after 3 refills. Replacing pods ensures good flavor, good vapor, and reduces risks of clogging and leaking. How To Deal With Vladdin Vaping E Liquid Condensate?